The Wild and Wolf 746 Phone in Swedish Green is a superb blend of retro cool and subtle colour that will make a statement but isn’t brash. 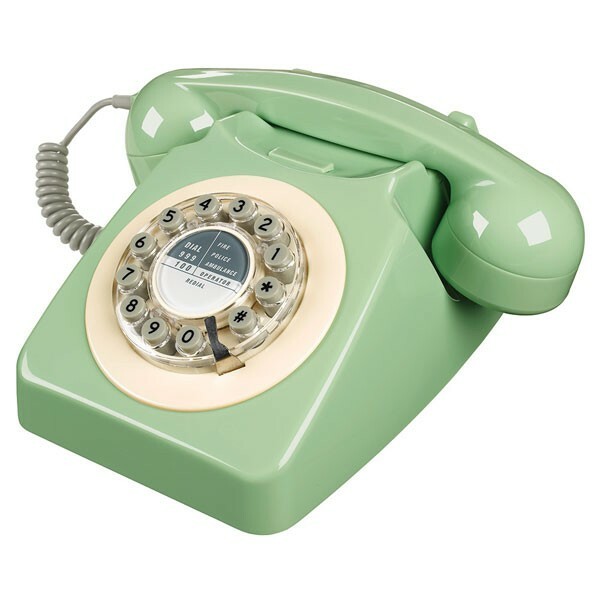 If you are looking for something a little different for a 60s style interior this tasty mint retro telephone could be just what you need. Based on a design by the General Post Office in 1967 the Wild & Wolf 746 Swedish green is a classic desk phone redesigned for the modern age. Instead of the rotary dial Wild & Wolf have opted for easy to use push buttons, this small but significant change maintains this quintessential 1960s design while making the phone that much easier to use. 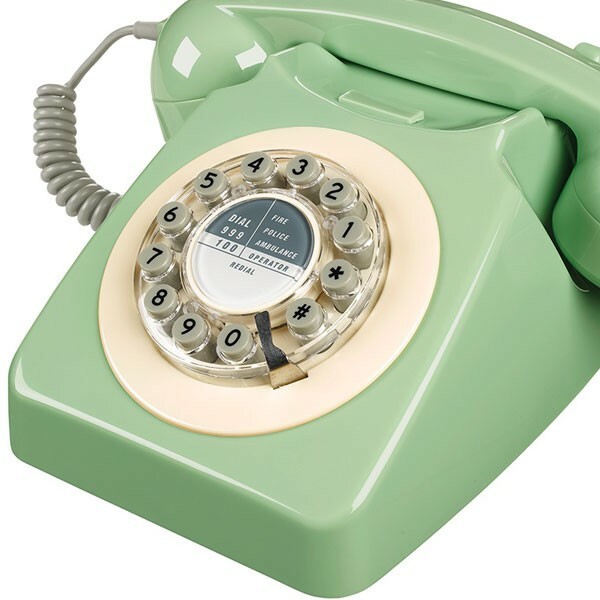 The body and receiver of this unique phone are made from a light green injection moulded plastic and paired with grey buttons and a grey cable for a sleek, understated but distinctive look. This iconic 60s design would be ideal for your living room, kitchen or bedroom or would make a wonderful present for someone with a penchant for 60s glamour and retro styling. Perfectly matched the other item I purchased - made a great house warming present. I just love our new phone : )! has been received, ? otherwise excellent. Loved this item. It is exactly as they described. Absolutly great. Just what I wanted. Takes me back and friends are very impressed.